What&rsquo;s for [Your Earth-Friendly] Dinner? From ditching the plastic straws to carpooling to work and bringing your own bags to the grocery store, the importance of conservation is something we should all be able to agree on. Meal kit companies can help by supporting sustainable providers and making sure that you have exactly the amount of food you need so you’re not over-purchasing and throwing out food. But what about the packaging? The waste created with every food kit order is something of a turnoff for many customers, so let’s take a look at what it entails and what you can do. HelloFresh stands atop the meal kit industry, with a reputation built on premium ingredients and easy-to-make, artful recipes. But what does the average meal leave behind? 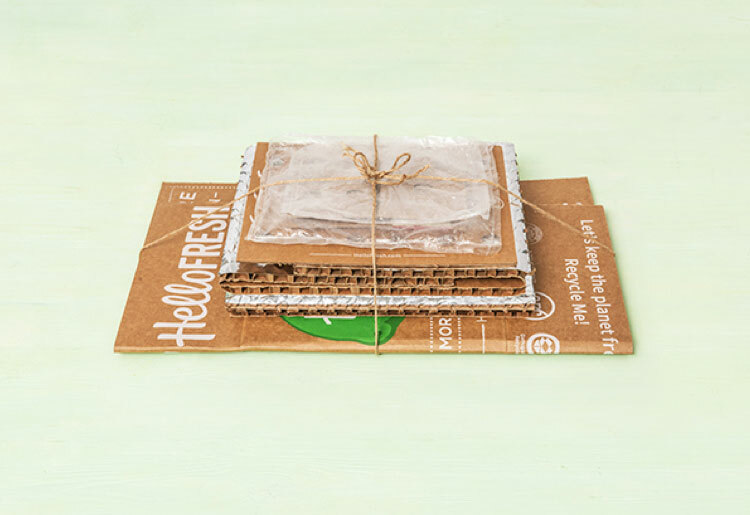 When you order with HelloFresh, your week’s meals come in a cardboard box made of recycled and virgin fibers that you can simply fold and put out with the rest of your recycling. Inside you’ll have the insulating liners that keep your delivery cool in transit and while it waits out on your porch for you to get home from work. The honeycomb paperboard is 100% curbside-friendly for recycling. The metallic plastic winter liners aren’t recyclable, but the Winter Kraft Paperlite liner is 100% curbside recyclable and if you’d like to recycle the summer liners you’ll need to take them to a nearby recycling center. The kit boxes and separator are recyclable and if you’d like to recycle the ice packs you can cut into the bags and empty the gel contents into the trash first. All of these steps sound doable, but they arguably detract a little bit from one of the main selling points of the industry, which is convenience. In addition, many companies advertise that certain parts of their plastic packaging can be taken to your local grocery store to be recycled, which may be a hard sell for people who are ordering food to their homes partly to avoid going to the grocery store. Some companies advertise that you can ship the boxes back to them postage-free for recycling, but this again adds another errand to to the to-do list. How much packaging are we talking about? In a post on “LAist” from November 2018, the author tested the waste left behind by meals from Sun Basket, Blue Apron, HelloFresh, and Takeout Kit. The writer found that Blue Apron left behind 42.15 ounces per meal, HelloFresh 29.31 ounces, Takeout Kit 23.92 ounces, and Sun Basket a whopping 110 ounces of waste per meal. Packaging aside, one of the ways that meal kit companies do better by the environment is by supporting sustainable, organic—and when possible—local providers. Sun Basket has made its 99% organic menu items a major selling point, and for Blue Apron, “building a better food system” is central to the company’s vision. 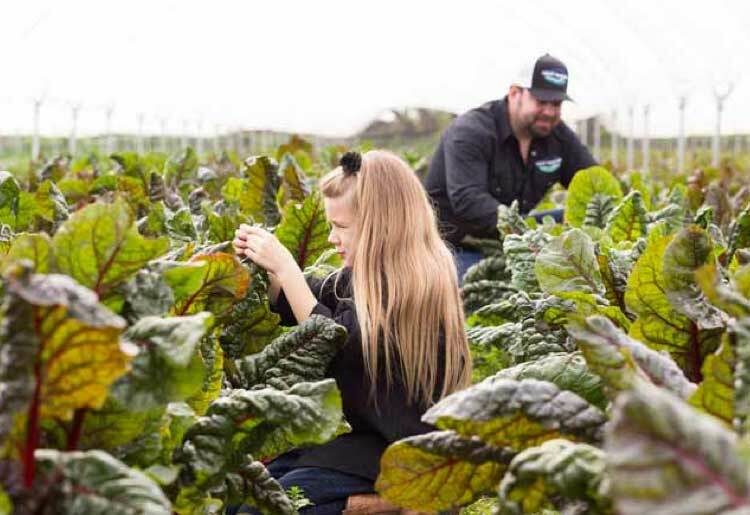 The Blue Apron approach includes working with partners to create a distribution system that provides high-quality products and supports local growers. Like other meal kit companies, Blue Apron also provides Non-GMO ingredients, meat that isn’t fed antibiotics or hormones, and sustainable seafood that has been recommended by the Monterey Bay Aquarium Seafood Watch. Sun Basket, for their part, provide meats that are antibiotic and hormone free, as well as pasture-raised lamb and turkey, and organic milk, yogurt, and eggs. Partnering with local providers is a commendable step that can help local communities as well as the environment. That said, it doesn’t change the sustainability issues raised by the delivery of the meal kits. Blue Apron has only 3 distribution centers, in California, New Jersey and Texas and the distribution centers for HelloFresh are in the same 3 states. In other words, if you order a meal kit in say, Indiana, the materials could be shipped to a distribution center in Texas and then driven on a truck all the way to the Midwest. For people who live near the distribution centers, the carbon footprint may not be that significant, but in more remote or far-flung areas the journey that your ingredients have to take will be very significant. Also, the farther the food travels, the more insulation and ice packs you’ll need to keep it all fresh. A convenient aspect of meal kits when it comes to conservation is the fact that they include precisely measured ingredients. You won’t need to buy an entire 750ml bottle of hoisin sauce for the tablespoon your recipe requires, nor will you end up throwing out rotten potatoes after you completely overestimated what you’d need for that side of scalloped potatoes. The difference can be significant. According to a study commissioned by Blue Apron in 2016, the company wastes 5.5 percent of its food, as opposed to 10.5 percent for grocery stores. The study also found that while grocery store shoppers toss almost 24 percent of the food they buy, Blue Apron users only chuck 7.6 percent of their ingredients. What’s for [Your Earth-Friendly] Dinner? The meal kit business is an exciting, dynamic industry that has taken flight in recent years and should be expected to evolve dramatically in the years to come. Packaging, sustainability, and delivery will combine to be major issues facing these companies as they expand, and could change the industry as a whole. Concerns about the extensive shipping and packaging of products could lead to a push for more retailers to partner with meal kit companies to sell their kits in-store, in order to cut down on packaging and delivery distances. These concerns could see the opening of more regional distribution centers and a better supply chain for people looking to recycle packaging. Regardless, one of the great hallmarks of the meal kit industry is that it encourages people to cook on their own and embrace the joy of standing over your kitchen counter preparing that night’s dinner, something that can be healthy, great fun, and when done right, sustainable and friendly to the environment.